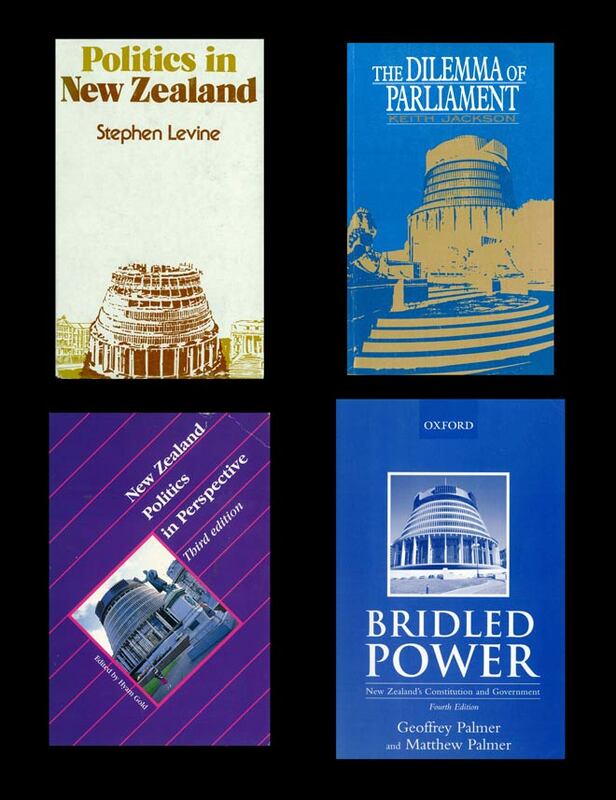 The covers of these four books highlight the use of images of the capital’s distinctive Beehive (the executive wing of Parliament) to illustrate material on New Zealand and its politics. As the cover at top left shows, this was true even before construction of the building had been completed. Courtesy of Allen and Unwin, Pearson New Zealand and Oxford University Press.